After David Mitchell's brilliant Cloud Atlas included science fiction in its genre mash-up, we were sad to hear his new book was straight-up litfic. But turns out it's the first volume of a trilogy... that will turn very science fictional. 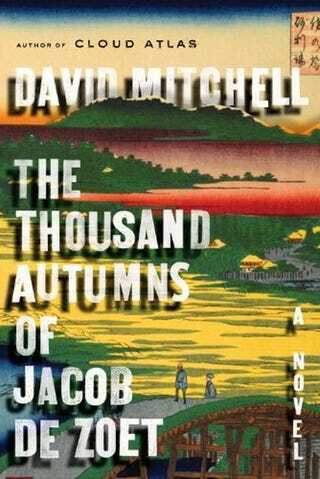 Mitchell was in New York to promote his new novel, The Thousand Autumns of Jacob de Zoet, and someone asked about the novel's villain, an abbott who it's hinted has been alive for 600 years. And Mitchell shocked the crowd by sharing news he hadn't even told his publisher yet: Thousand Autumns will be followed by two more novels, which will deal with the theme of immortality. And these two volumes will venture much further into the realm of speculative fiction, and will be much closer to the experimental style of Mitchell's earlier work.